Ford EcoSport Stripes, EcoSport Vinyl Graphics, EcoSport Hood Decals and Body Striping Kits. The EcoSport blends subcompact traits with the sporty attributes of a crossover. The athletic exterior distinguishes itself in a market of small SUV crossovers. Get an upgraded look by adding a vinyl stripe kit or side decal to make your EcoSport unique! 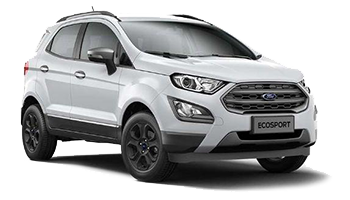 Below you'll find a wide variety of Ford EcoSport vinyl graphics and EcoSport stripe kits for the model years indicated. Featured here you will find the AMP HOOD Ford EcoSport Hood Decal Stripe Vinyl Graphic Kit for 2013-2019, AMP SIDES Ford EcoSport Side Decal Door Stripe Vinyl Graphic Kit for 2013-2019, FLYOUT Ford EcoSport Lower Door Decal and Hood Stripe Vinyl Graphic Kit for 2013-2019, and many more! Choose one of these popular vinyl hood decals or side body line pin striping styles today!